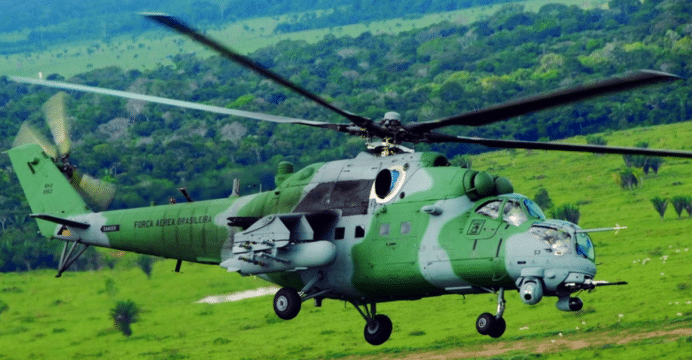 Having officially inducted two Mi-35M attack helicopters in April, the Nigerian Air Force (NAF) will receive the remaining 10 of its 12 Mi-35M on order in 2018. Earlier reports, originating from Sputnik News, erroneously translated Punchuk’s statements to state that the NAF received two Sukhoi Su-30 in 2017 and would receive 10 in 2018 (note: Quwa has removed its previous article on this issue). The NAF is also seeking 12 Embraer-Sierra Nevada Corp. A-29 Super Tucano close air support (CAS) aircraft for counterinsurgency (COIN) missions.